Boxee App Headed to iPhone and iPad? It appears that Boxee, the social media software designed to bring Internet video content to users' televisions, is no longer content with just one screen. A recent job posting on the Boxee website indicates that the New York company is looking for an iPad and iPhone app developer to be the first member of Boxee's new Mobile Applications Team. According to the job posting, Boxee considers "other screens" (e.g. iPad and iPhone screens) just as important as TV screens for video. The company is looking for a coder with Objective-C expertise (a language used on Mac OS X and the iPhone OS) and at least one published app in the Apple app store. The job posting also notes "Android development experience a plus"--it looks like Boxee doesn't plan on limiting itself to the iPad and the iPhone. 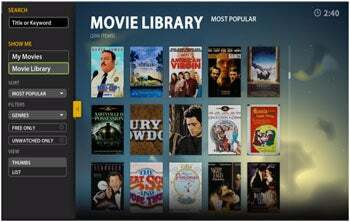 Boxee started out as free, open-source software designed to bring Internet content to your living room TV. The Boxee software will play videos and music stored on your hard drive, as well as content from other sources--including Netflix, Youtube, Shoutcast, Last.fm, Picasa, CNN, and, up until last year, Hulu. All of this, and more, is accessible through an attractive interface that can be navigated with a remote. As for the social media angle--Boxee allows users to share what they're watching--and their recommendations--with other Boxee users. Boxee's software quickly gained credibility as a way to turn your TV into an internet-content-viewing haven, and the company announced that they would be boxing up Boxee and selling the software as part of a set-top box. The Boxee set-top box, which is manufactured by D-Link, costs $200 and will be available in the second quarter of 2010. The box connects to the internet via Wi-Fi or wired Ethernet, and connects to users' TV's via HDMI, optical cables, or RCA cables (it features 1080p output). The development of a Mobile Applications Team is not Boxee's first foray into the iPhone app development world. In March 2009 Boxee released a free iPhone app that turns iPhones into remote controls for Boxee. But an app that streams video would definitely be a Boxee first--mainly because Boxee simply points to, and aggregates, video from internet sources such as Youtube. Boxee is a browser, not a host--something that will need to change if Boxee wants to make an iPad or iPhone app (since neither device supports Flash). According to the LA Times , Boxee plans to go directly to the networks for content, instead of just aggregating. To think, all of this from one little job posting. It seems that Boxee won't be satisfied until all screens, big and small, have Internet video delivered to them via an attractive interface. And I have no problem with that.